Angels first appeared on my radar a few years back, when I hired a rather fetching Wonder Woman costume for a fancy dress party. Unlike many naff outfits for hire, it was beautifully made. In fact, so life-like was the glossy Linda Carter wig, that many guests mistook it for my own natural hair! Their central store on Shaftesbury Avenue is still thriving because Angel’s costumes are quite simply the best in the business; many of their fancy dress outfits for hire will have previously made an appearance on film or TV. Later, when I began to work professionally in films and commercials, I noticed that many of my garments bore the Angels label, and it soon became pretty obvious that they were the leading costumiers in the entertainment business, not only in England, but the world. Angels have been dressing the entertainment industry for 172 years. It began in 1840 with Morris Angel who opened a second-hand clothing shop, near Covent Garden. When an actor asked if he could rent a suit rather than buy it, the hire business took off and soon the company began hiring out to West End shows and later, working with the film industry. 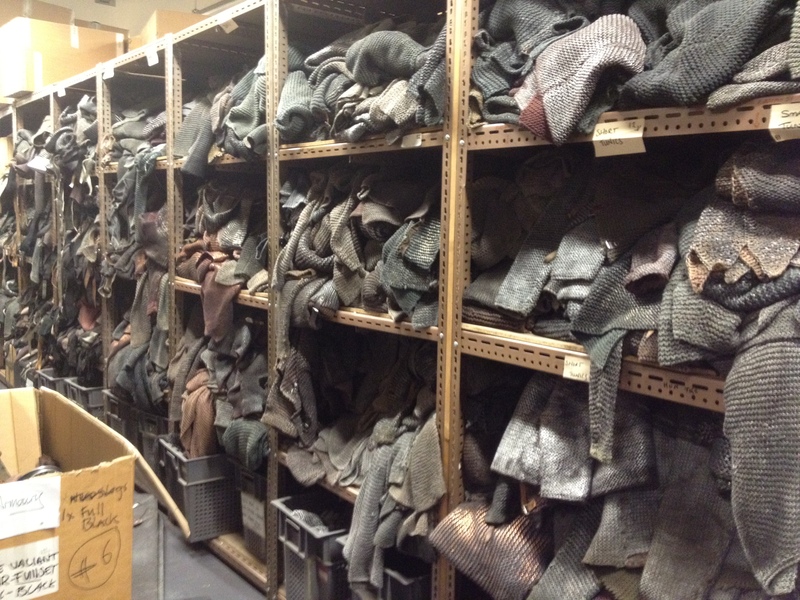 Angels now own the largest collection of costumes and accessories in the world. Eight miles of hanging costume to be precise. 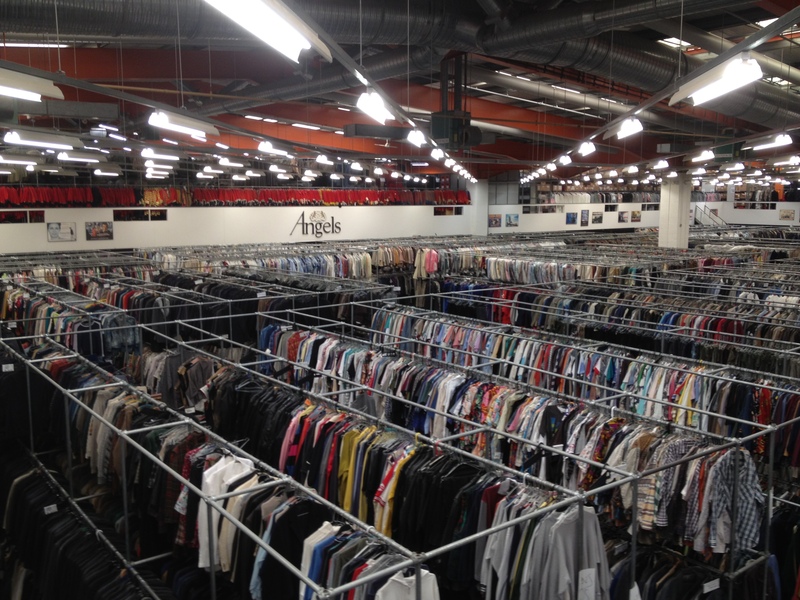 Whatever type of outfit a production may require, they’re sure to find it at Angels. 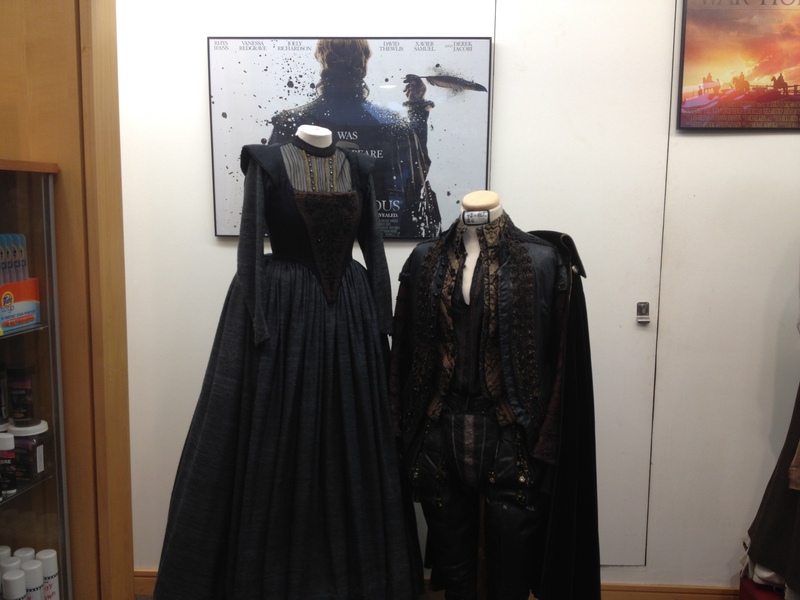 Their costumes span all periods: from 1200 through to original Victorian garments right through to contemporary. There’s even a department dedicated to mail. As it’s so darn heavy to wear, some designers prefer to use knitted string spray-painted with a metallic paint instead of actual mail, (although swashbuckler Errol Flynn always used to insist on authenticity and bravely donned the real thing!). Film production companies have two choices: they simply hire from existing Angels stock, or utilise the services of the company’s highly skilled in-house design team. Last week when I visited, the design team were fervently working on a rather spectacular set of costumes for The Metropolitan Opera. 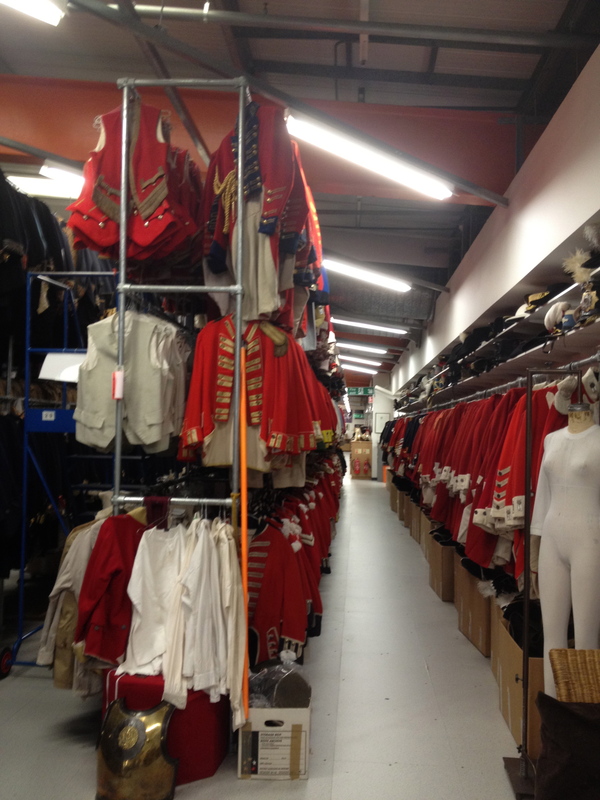 The main collection of costumes are stored in a giant warehouse at Hendon, North West London, where Angels recently launched their first official tour, open to members of the general public. The tour takes around 90 minutes, with a maximum of approx. 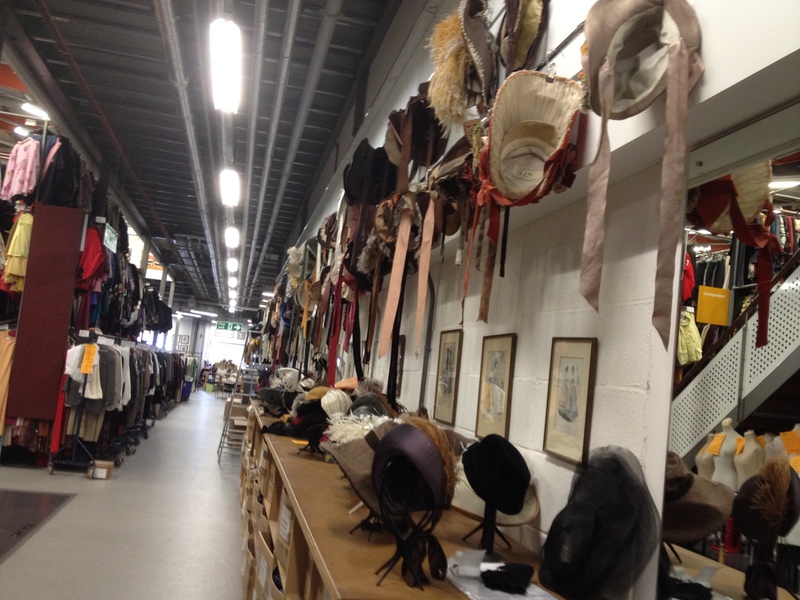 12 people, and after visiting the fascinating tailoring and ladies making departments, you’ll wind your way through the enormous hangar-like space (home to some 5.5M costumes), the chilly temperature-controlled fur room, and lastly, the jewellery department. This is a brilliant tour for those interested in the film/theatre industry and is proving very popular with fashion students, too. Vivienne Westwood and Stella McCartney have both recently spent time at Angels; studying their period costumes to gain inspiration for new collections, and whilst I was there, a leading Italian fashion house (sorry, sworn to secrecy on this one!) was holding meetings. In 1948, Hamlet, starring Laurence Olivier, took the Oscar for best costume design. Angels had supplied the wardrobe. Similarly, they have worked with other such winners over the years, including: Dr. Zhivago, Titanic, Cleopatra, Aviator, Gandhi, Henry V, The Great Gatsby, Star Wars, Shakespeare in Love, The English Patient, Gladiator, Marie-Antoinette, The Duchess, Elizabeth; The Golden Age and Alice in Wonderland. 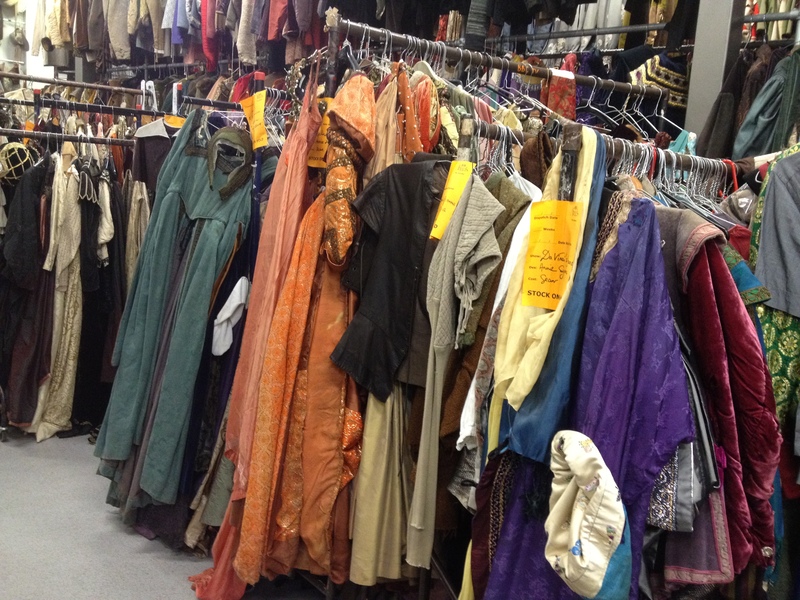 An actor will always attend a full fitting before a production to ensure that their costume fits perfectly, but occasionally, during the course of filming (hell, sometimes right in the middle of a scene!) 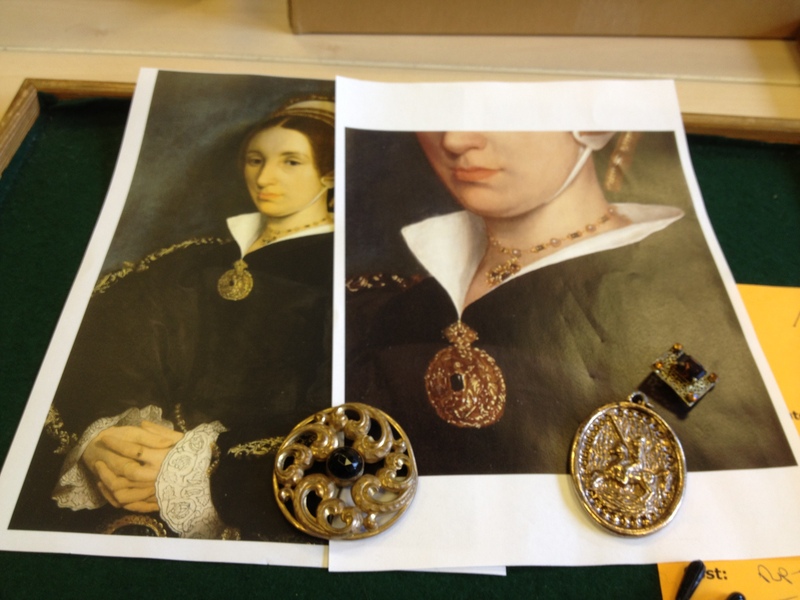 you may be asked to change into a costume which you haven’t previously been measured for. What always intrigues me when this happens on set, is how designers can just simply look at a person and know their exact measurements (some swear they can detect this from a handshake alone). Case in point: my Angels tour leader picked out a gentleman from the group and with nothing more than a glance, correctly guessed his height and weight together with his neck and waist measurements. Similarly, I remember meeting the three time Oscar-winning costume designer, Colleen Atwood, on the set of Tim Burton’s Sweeney Todd. We literally had five precious minutes to source and change a costume, but such was her expertly trained eye, she was able to pick out a silk-georgette creation straight off the rail which of course fitted me like a glove. Matching bonnet, too.